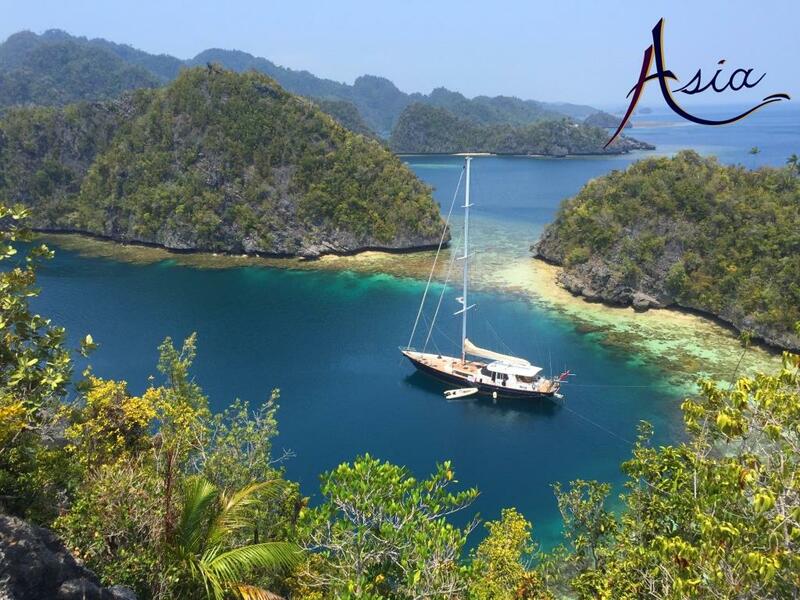 Sailing yacht Asia is a magnificent luxury charter yacht custom-built for charters in the most remote and beautiful parts of South East Asia. The yacht was launched in January 2009. 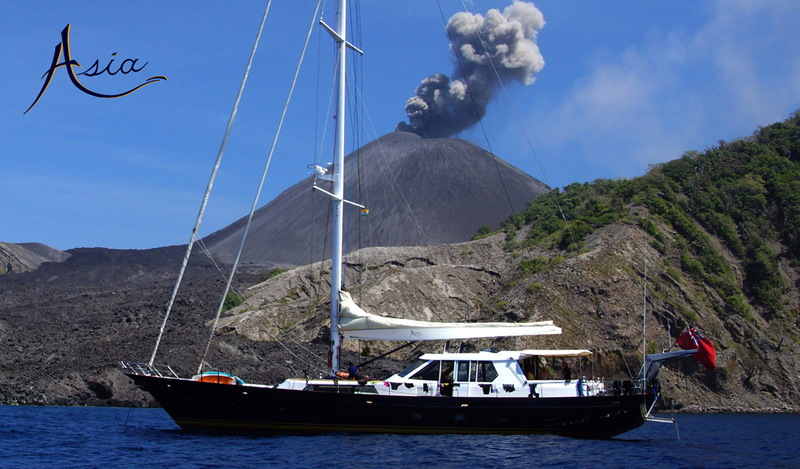 She is available for charter in the remote Mergui Archipelago (Burma), the Andaman Islands (India), Thailand and Malaysia and in the Bali, Lombok, Sumbawa, Komodo and Flores region of Indonesia. The Andaman Sea including the Andaman Islands (India), Nicobar, Myanmar’s Mergui Archipelago, Thailand, Malaysia. This enormous and diverse region encompasses 3,000 islands spread over a vast tract of the ocean. 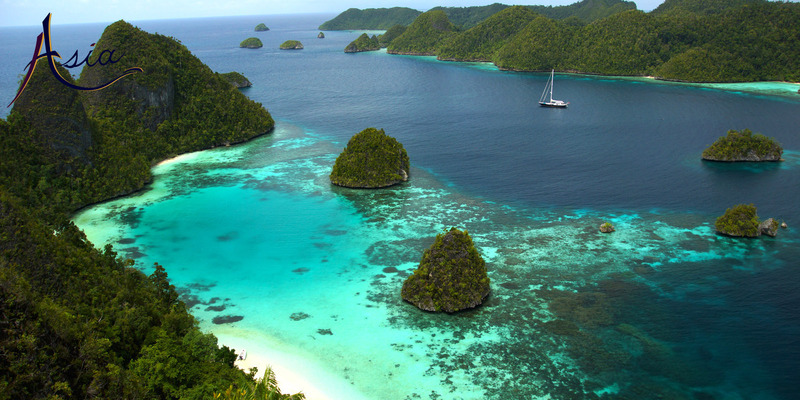 Indonesia is 13,677 islands spread over ½ million square miles of ocean including Bali, Lombok, Sumbawa, Rinca, Komodo, Flores, the Banda Islands, Raja Ampat (western Papua New Guinea), Sulawesi and the Spice Islands. 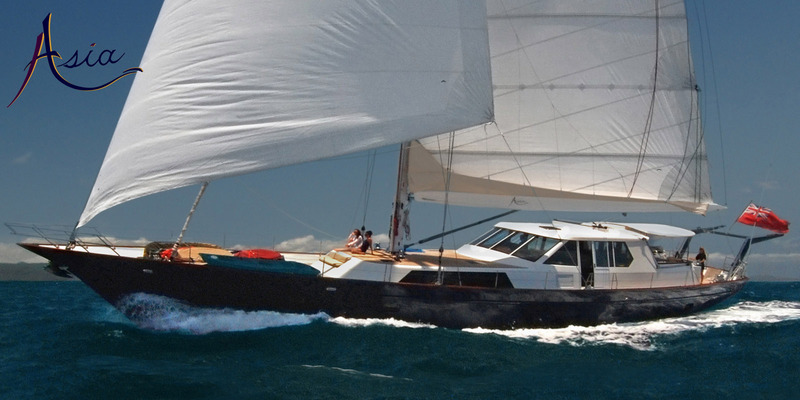 Sail yacht Asia was designed and built for Paul and Debbie Johnson who form part of the crew. 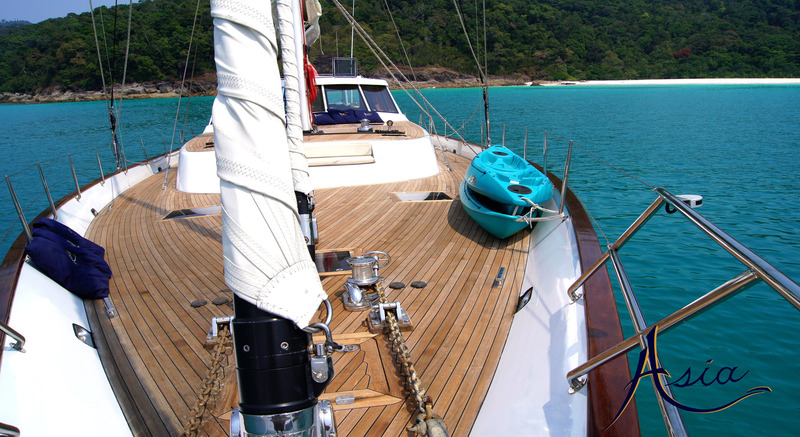 They have been operating top-end luxury yacht charters in South East Asia for the past 13 years. 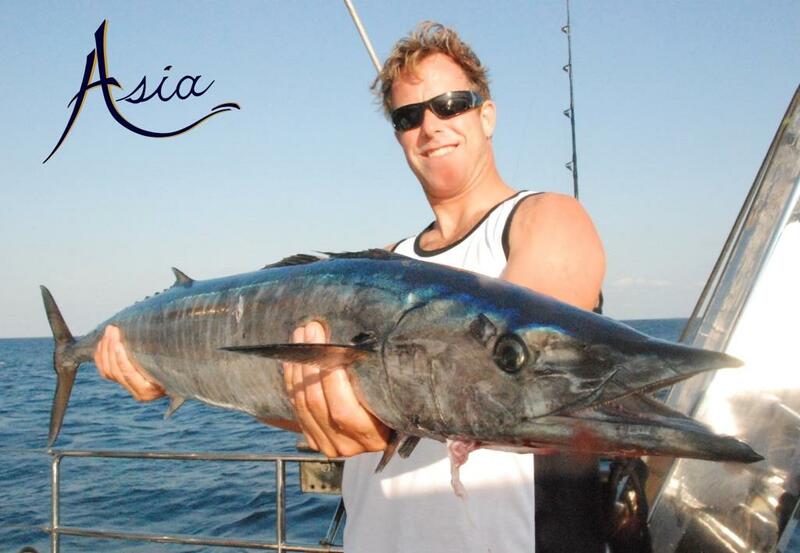 They have become recognized as the local experts on sailing and adventure charters in the region and have written many destinations based articles for international magazines which have been published worldwide. Paul is one of the authors of the Andaman Sea Pilot (the definitive sailing guide to the area). 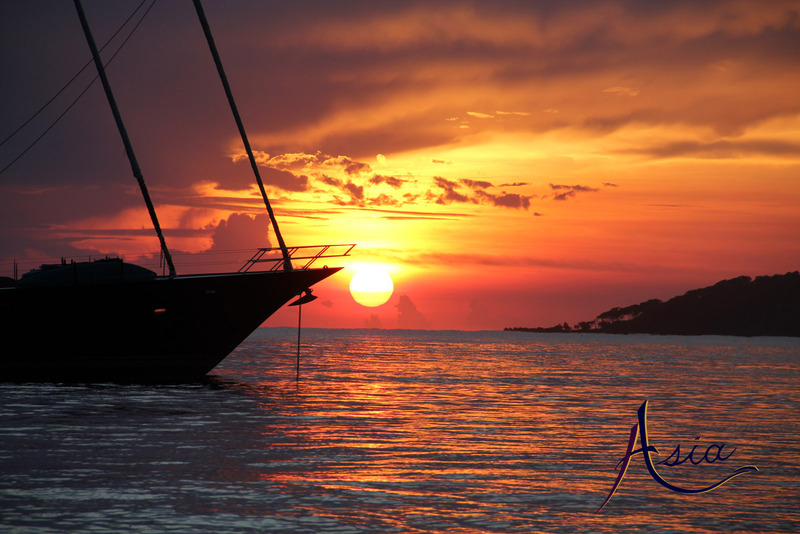 Their local knowledge of sailing charters in South East Asia is unrivalled. 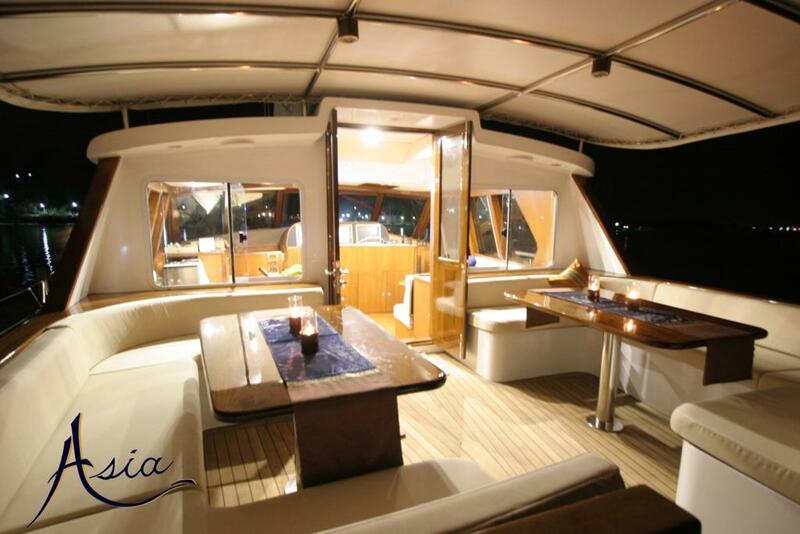 Luxury Yacht Asia is an extremely spacious and luxurious charter yacht. 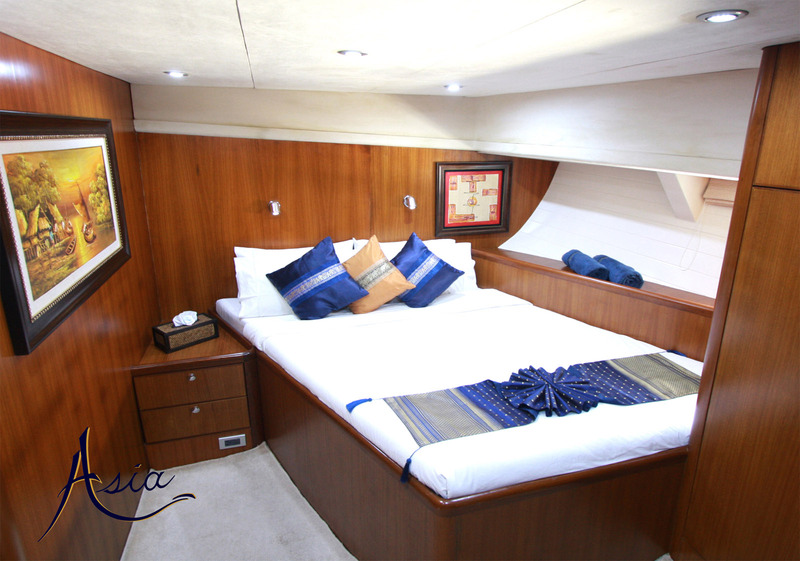 The yacht is luxuriously finished in Burmese teak combining luxurious leather sofas in the saloon with practical sunbrella sofas in the pilothouse and cockpit. The soft furnishings, artwork and accessories throughout have an Asian flair to suit the theme of this beautifully decorated yacht. Thai silks and original oil paintings provide tasteful splashes of colour to the interior décor. 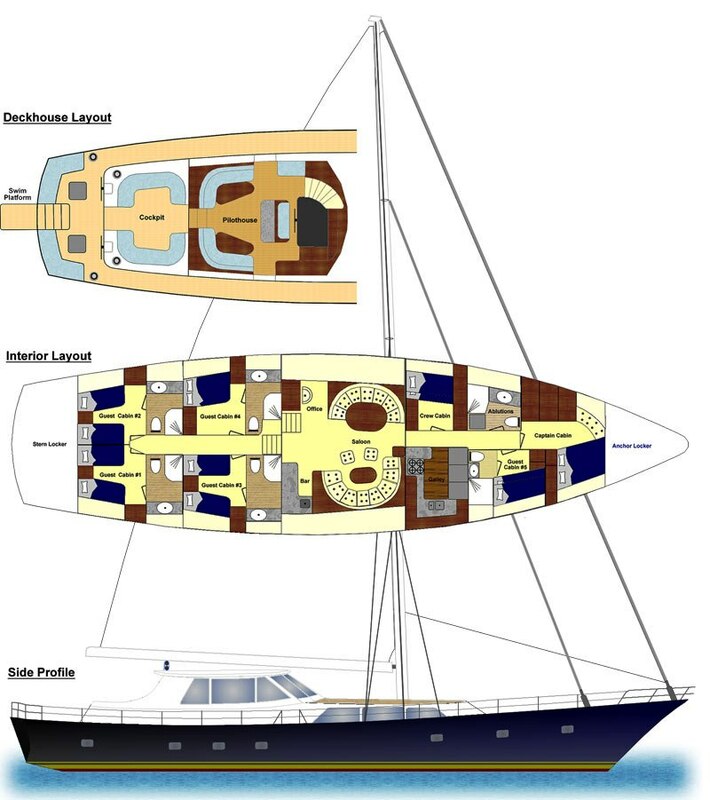 A huge open plan saloon, an air-conditioned 3600 view pilothouse, a large shady cockpit and sweeping teak decks provide enormous space on the yacht. With few yachting facilities in the Indian Ocean, sailing yacht Asia has the capability to operate offshore for periods of 6 months at a time and has a 6,500-mile range under power. 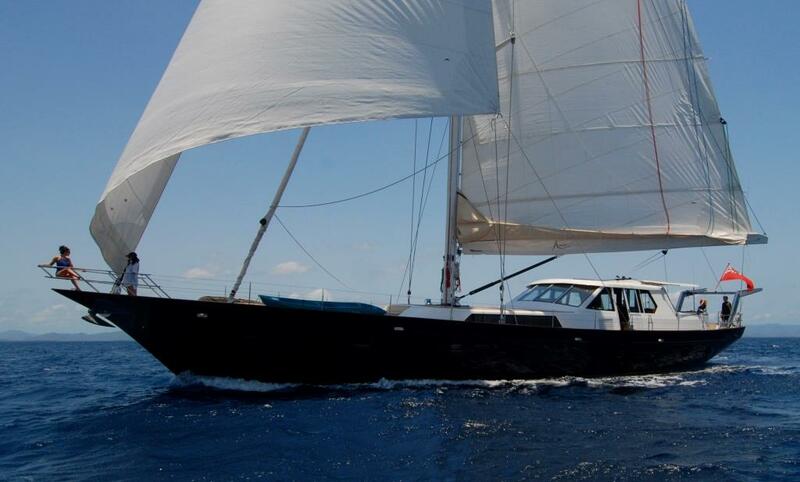 With a huge sloop rig, Asia is a powerful sailing yacht with exhilarating performance under sail. The yacht has 5 luxurious staterooms to accommodate up to 10 guests in comfort (2 double cabins, 2 convertible twin/double cabins and a twin cabin). All cabins have ensuite shower and toilet, individual air-conditioning controls and an in-cabin entertainment system with hundreds of movies and thousands of hours of music. 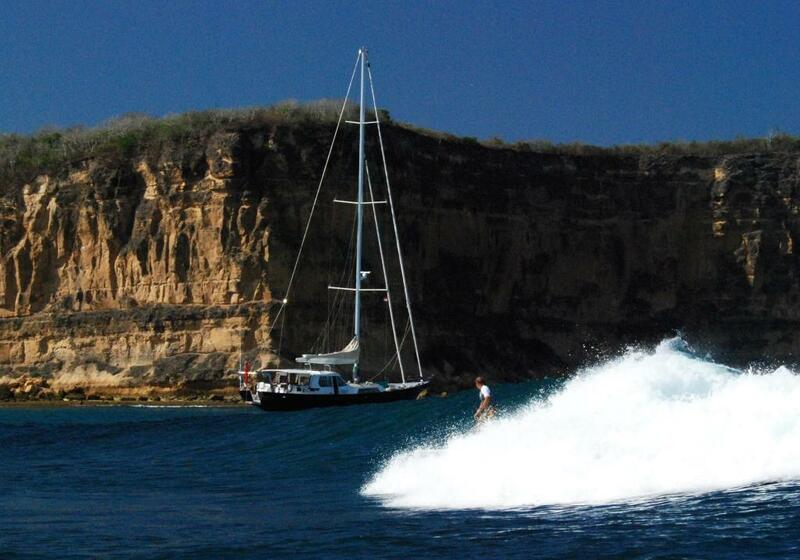 We focus strongly on eco-friendly activities aboard the yacht including performance sailing, guided Scuba diving and snorkelling, guided jungle walks and wildlife viewing, kayaking, catch & release fishing, surfing and just relaxing on some of the most beautiful beaches in the world with not another tourist within 300 miles. 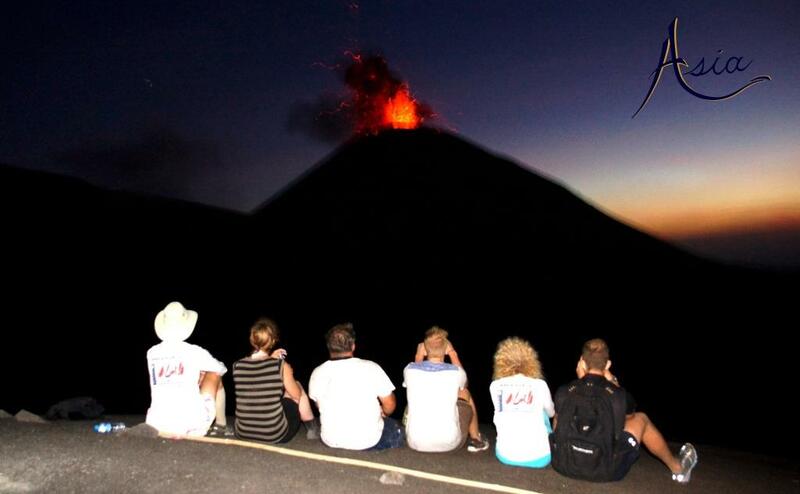 We give our guests very special experiences in places that no one else can get to. The yacht is finished to a “superyacht” standard and is fully MCA compliant. 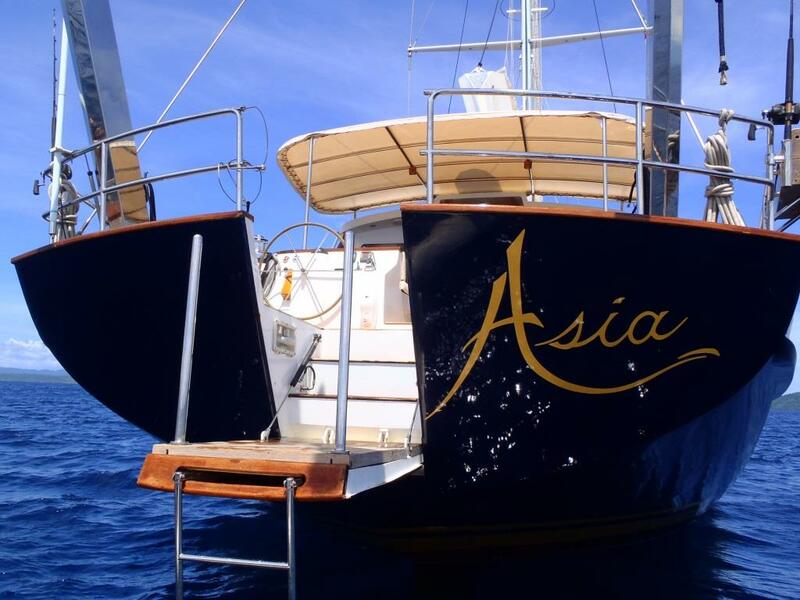 Luxury sailing yacht Asia is fully equipped for Scuba diving for up to 10 guests (at an extra cost). 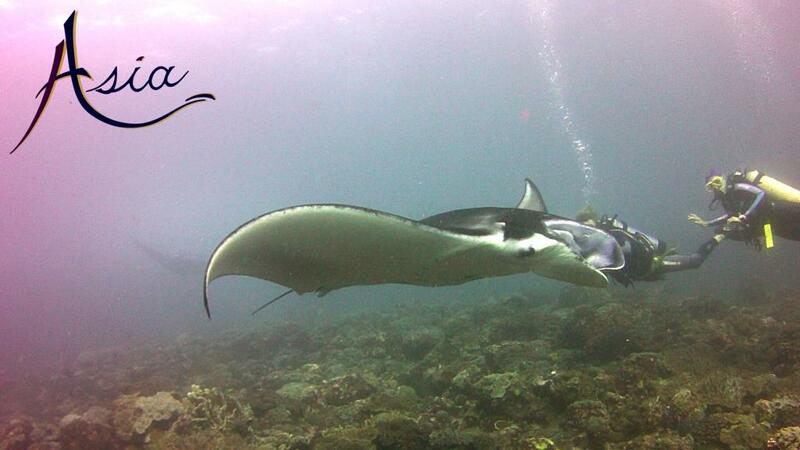 Divers must already hold a minimum of an open water 1 certificate. We provide all dive equipment, wetsuits, masks, fins, highly experienced and knowledgeable dive leaders and full safety equipment. 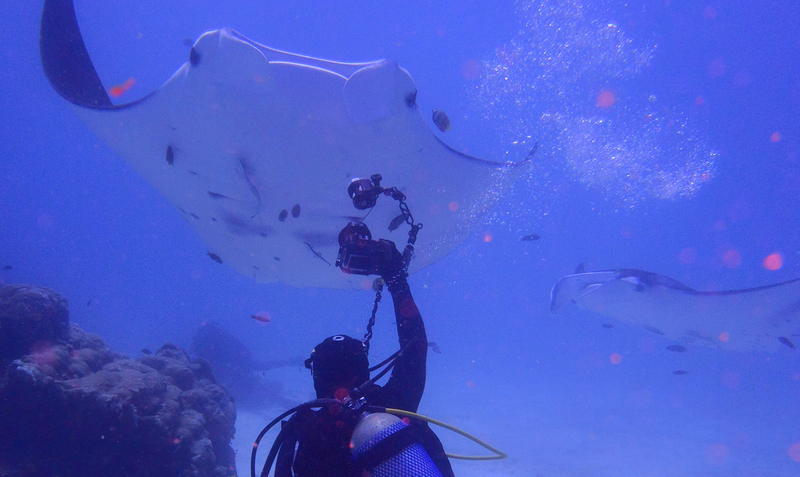 We have been consistently chosen by the UNDP over the last 10 years to provide dive services to their scientific coral reef survey teams in the eastern Indian Ocean. 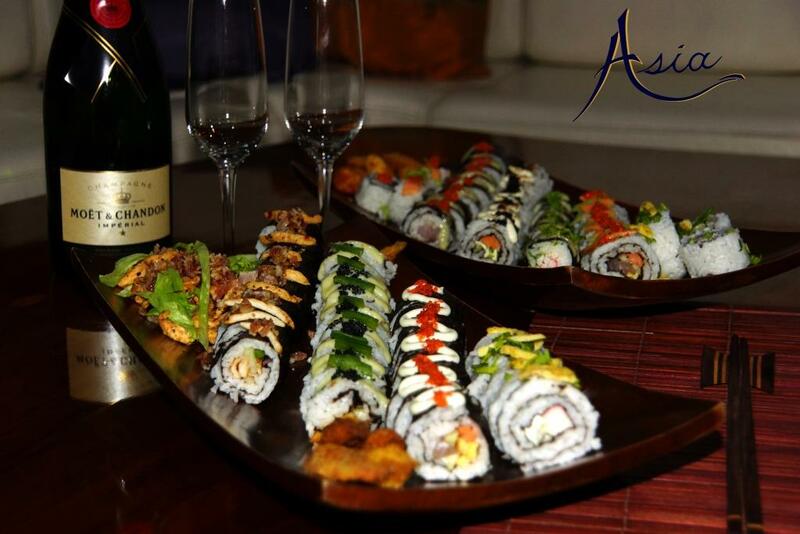 The daily charter rate for S/Y Asia includes fuel, use of the yacht, services of the crew, use of water-sports equipment, gourmet meals aboard, snacks, teas, coffees, soft drinks. Charters to the Andaman Islands (India) have a Euro 4,000 one-off re-positioning fee. Excluded from the charter rate are alcoholic drinks, national parks fees and scuba diving. 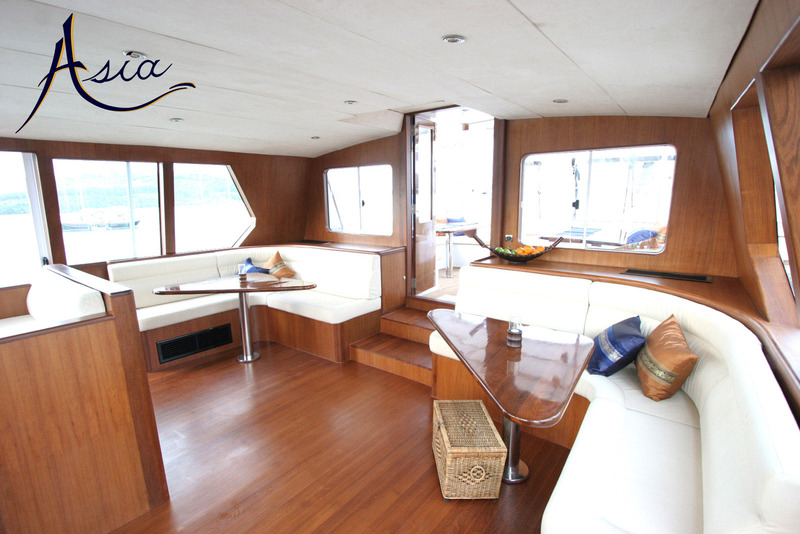 South East Asian charter yacht ASIA is able to accommodate up to 10 guests in 5 luxurious staterooms. The cabin configuration includes 2 double cabins, 2 convertible twin/double cabins and a twin cabin). All cabins have ensuite shower and toilet, individual air-conditioning controls and an in cabin entertainment system with hundreds of movies and thousands of hours of music. Sailing yacht Asia is equipped with a 5.1m performance dingy with 60Hp outboard, full snorkelling equipment, full scuba diving equipment (extra charge), kayaks, surfboards and standup paddle boards. All guest cabins have an in cabin entertainment system with access to hundreds of movies and thousands of hours of music.